HTC's flagship phones are well known for their all-metal design, but that's not the only element that contributes to their style. Like its contemporaries, the M8 knows how to put on a new coat of paint. In just two days, Verizon Wireless will start offering the slick handset in a glamorous shade of red and an attention-grabbing shade of gold. Since Father's Day isn't far off, Verizon's willing to part with any phone priced at $199.99 or higher (with a two-year contract) for $100 off. This includes the HTC One M8 in both of its new colors, along with the pre-existing shades of silver and gray that might just be more dad-friendly. Regardless, look for the two additional variants to debut online and in stores starting June 5th. Technology and style come together with the HTC One (M8) and its all-metal design. And soon, new color models will add more variety into the mix. 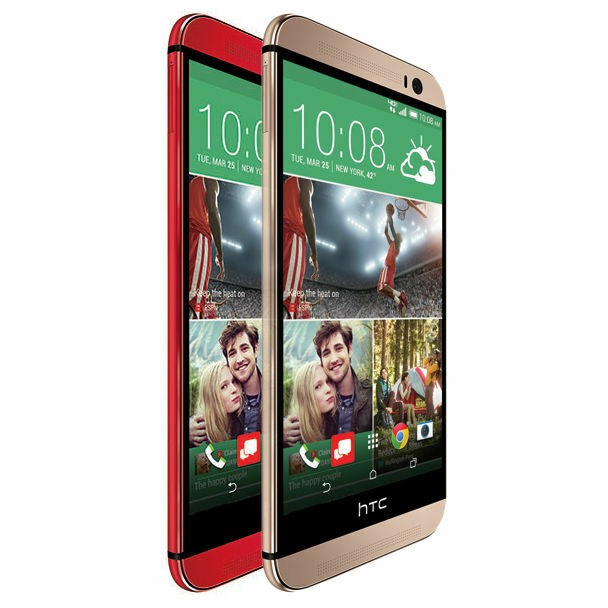 Beginning June 5, the HTC One (M8) will be available in two new color models, Glamour Red, available online and in stores, exclusive to Verizon Wireless, and Amber Gold, which will be available online and at select authorized Verizon Wireless retailers. Father’s Day is around the corner, and for a limited time, customers receive $100 off any smartphone priced $199.99 or higher, including the HTC One (M8), with a new two-year activation. Take selfies with the whole family using the 5-megapixel wide-angle front-facing camera. Add filters for added fun and use 4G LTE to upload and share them with everyone. Create a music playlist and play dad’s favorite tunes though the HTC One’s dual front-facing stereo speakers so everyone can enjoy. If the family is not a fan of dad’s tunes, the smartphone comes with headphones in the box so dad can still enjoy his music. Find a movie or TV show to watch together with the HTC TV app. Bookmark the family’s favorite shows so an episode is never missed. The smartphone can also become a remote to control the TVs in the house. 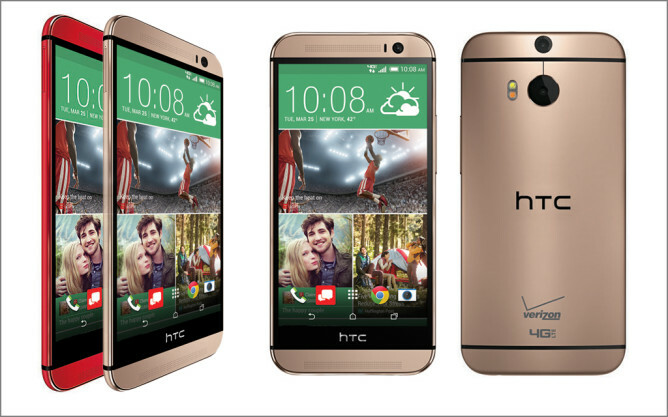 Verizon Wireless will now have four color options from which to choose when it comes to the HTC One (M8): Gunmetal Gray, Glacial Silver, Amber Gold, and Glamour Red. What color suits your style? Let us know at @VZWnews.